Saunderson House provides a complete financial planning and investment service to busy professionals and other high net-worth individuals. 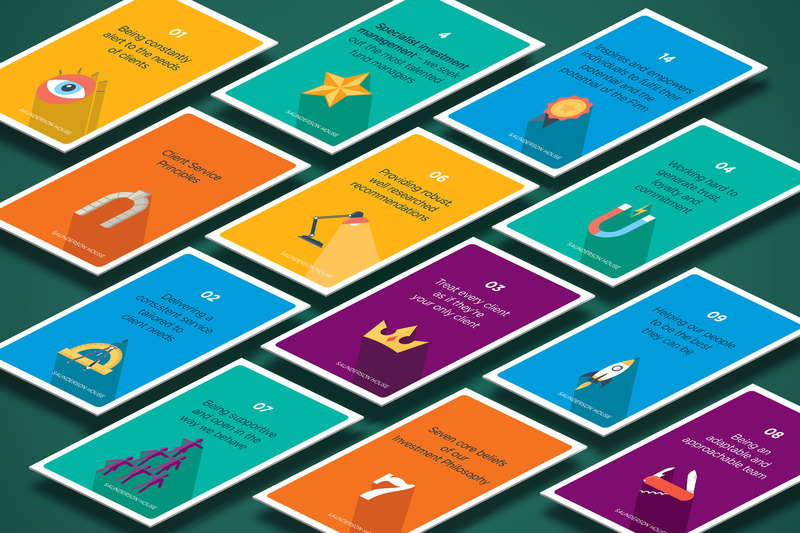 Our first project for Saunderson House was to produce an internal staff awareness campaign comprising handy flash cards and posters for the office, to underline the company’s guiding principles. We have since gone on to tackle jobs as diverse as setting up a print advertising style and a suite of investment forms.